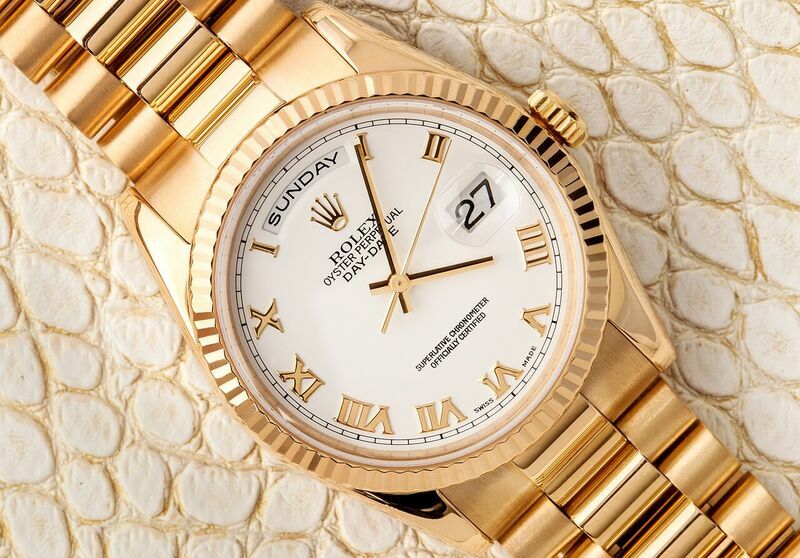 The iconic Rolex President, also known as the Day-Date, has undergone several iterations since its debut in 1956, each of them just as exclusive as the other. In terms of size, there are three different versions — the original 36mm size, the now discontinued 41mm size, and the latest version with a 40mm sized case. Here we take a closer look at three Rolex President candidates. 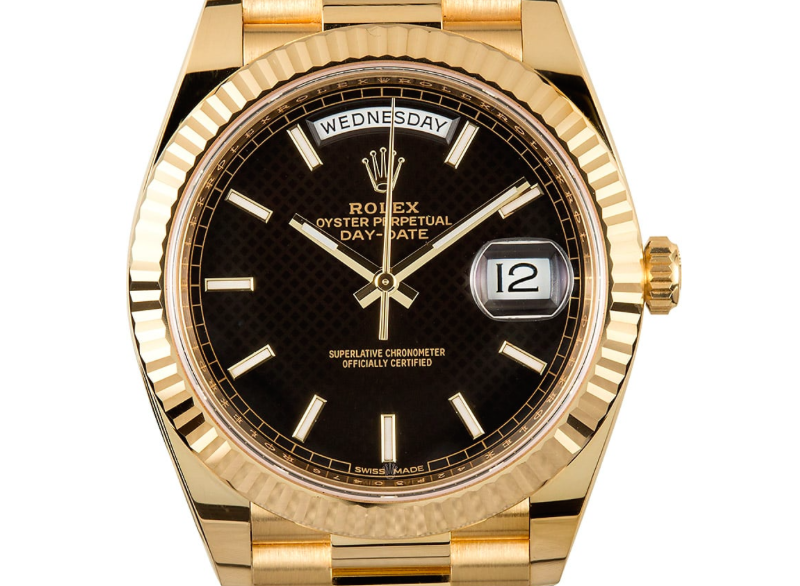 The original Rolex Day-Date sported an 18k yellow gold 36mm Oyster case and matching yellow gold President bracelet. 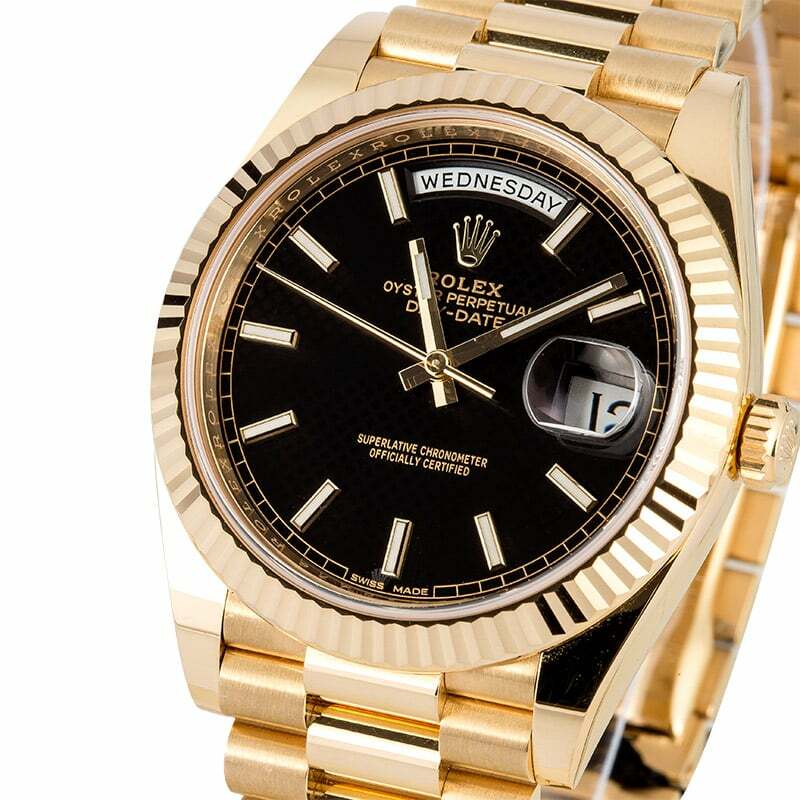 The ultimate status watch, the Rolex President was, and still is, a favorite among the world politicians, celebrities, and Rolex aficionados alike. A breakthrough, the Day-Date was the first wristwatch that revealed both the day of the week written in full, along with the date and time. For those who appreciate traditions and a restrained size, the Day-Date 36 is of course still in production today. This particular Rolex President ref. 118206 is especially luxurious since it is crafted entirely in 950 platinum. The glacier blue dial — exclusive to Rolex platinum models — and smooth bezel tops off the watch’s sleek appeal while the Roman numerals adds a classic touch. 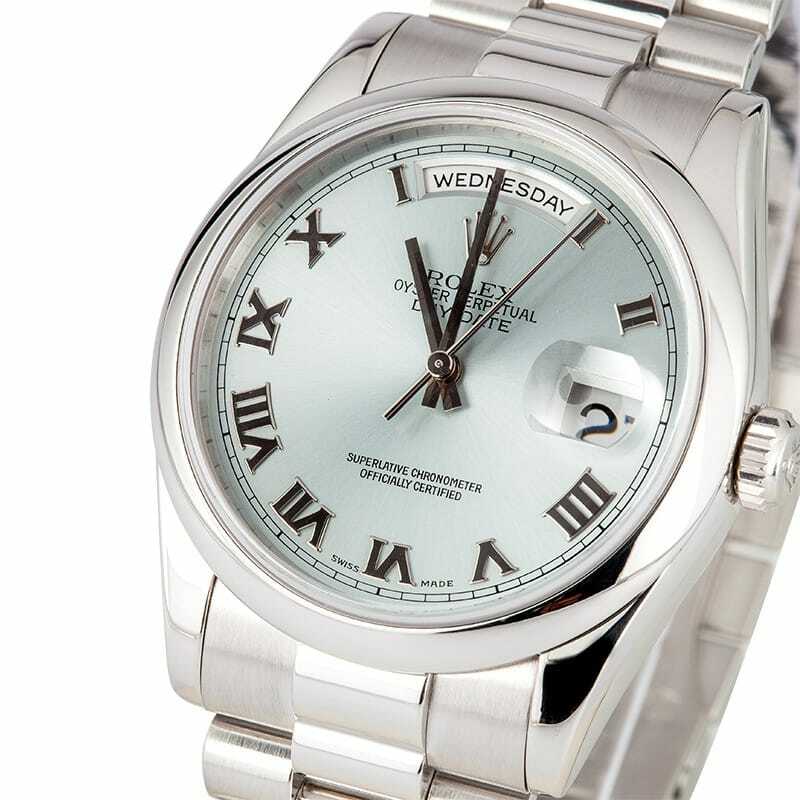 Running on the Rolex Caliber 3155 automatic mechanical movement, the Day-Date ref. 118206 has a power-reserve of about 48 hours. 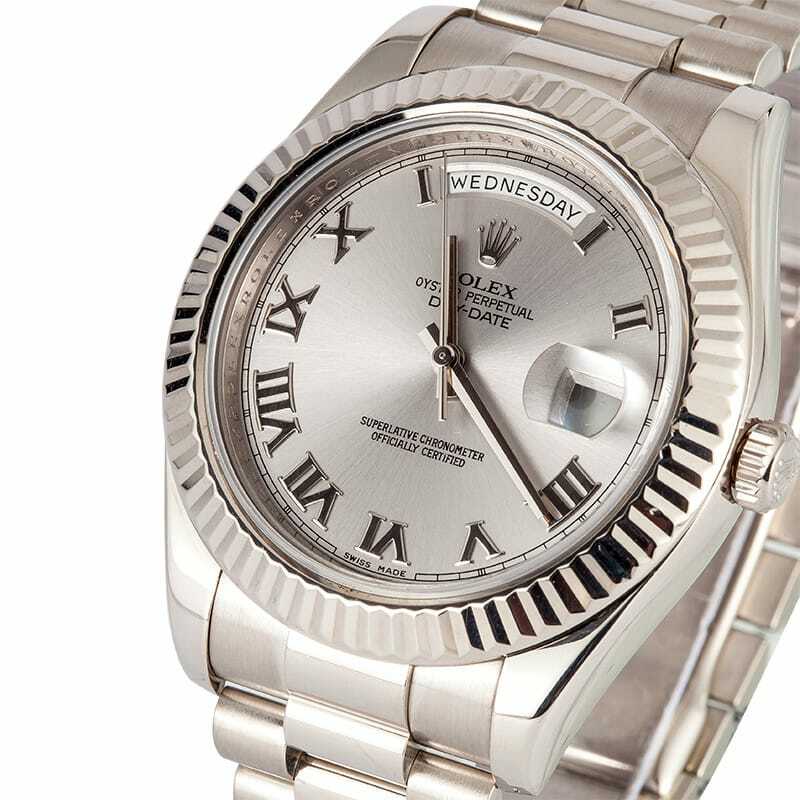 In 2008, Rolex answered the prevailing trend for larger watches with the Day-Date II. Augmented to 41mm, the Day-Date II was the ideal luxury watch in a bolder frame. Also new to the larger President when it was launched was its movement – the Rolex Caliber 3156 with Paraflex shock absorbers and a Parachrom hairspring for increased resistance to shocks and magnetic fields. This particular Day-Date II ref. 218239 is fashioned from 18k white gold for an understated and chic look. Characteristic Rolex design details, such as the fluted bezel, Roman numerals, and of course the three semi-circular links of the President bracelet, makes the watch instantly recognizable as a President despite its bolder size. This now discontinued President is still a popular choice within the Rolex community. In 2015 Rolex unveiled yet another version of the President with the Day-Date 40. 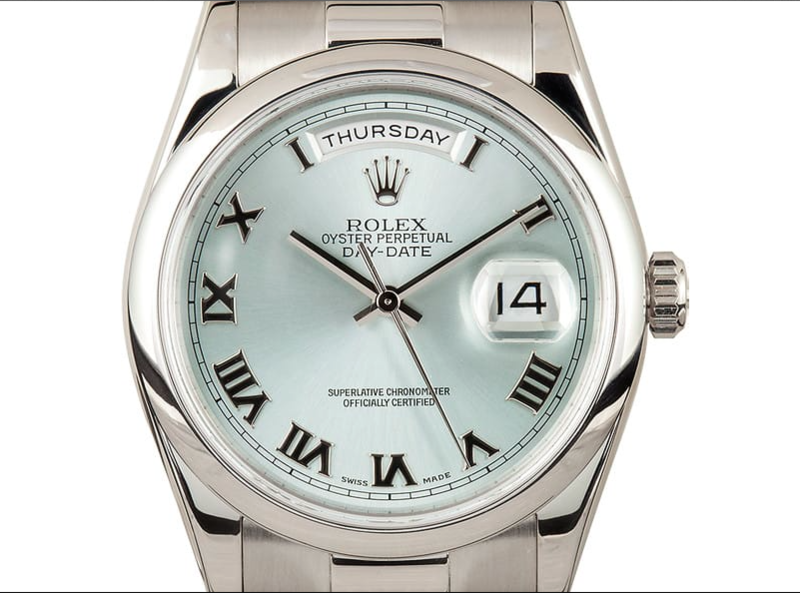 Taking the Day-Date II’s place, the Rolex Day-Date 40 includes a redesigned case at 40mm. The Day-Date 40 also features elaborate new dial designs with laser-etched patterns. But perhaps more importantly, the new Rolex Presidents is equipped with the Swiss watchmaker’s newest generation movement – the Rolex Caliber 3255. The latest mechanical automatic movement from Rolex boasts 14 patents that all contribute to increased power reserve, precision, reliability, and robustness. The COSC-certified chronometer only allows for a deviation of +2/-2 seconds per day, which is double the requirement of COSC standards. 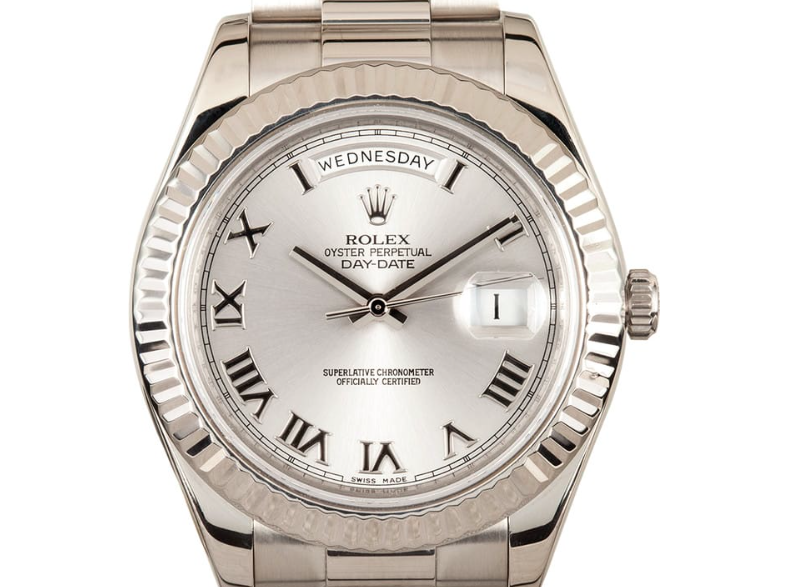 This model of the Day-Date 40 ref. 228238 is constructed in 18k yellow gold with a black dial featuring a captivating diagonal motif. Finishing off the dial are the luminous stick hour markers and the two iconic windows at 12 o’clock and 3 o’clock indicating the day of the week and date, respectively. Whichever version of the Rolex President gets your vote, they each have their own incredible qualities to admire. It’s no wonder that the Day-Date has remained the quintessential luxury dress watch for 60 years.